5-rib tread design with special tread compounds enhances even wear and traction in line-haul steer axle positions. 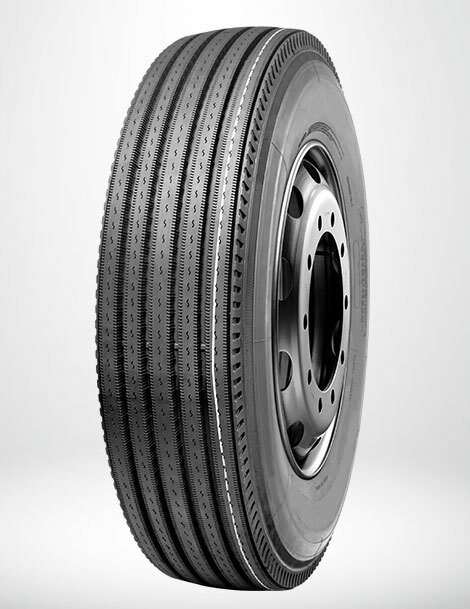 Multiple sipes and shoulder decoupling grooves enhance tire wear and traction. Bead and belt designed package for increased tire performance and multiple retreads.